When you choose Toronto – Kennedy and Sheppard East you will find experienced staff who work together to ensure optimal care for your painful injury. Suite 300, Toronto – Kennedy and Sheppard East recognizes the differences in shapes, sizes, strengths and degrees of injury amongst all of our patients and designs sensible rehabilitation programs that help our patients reach their personal rehabilitation goals. Whether it is pain relief or recovery from an injury, we will provide therapy options that can help you play an active role in achieving your goals. We are a multidisciplinary clinic, by working together as a team, all clinicians are in constant communication with each other in order to ensure that each patient receives the most effective treatment possible. Toronto – Kennedy and Sheppard East can help you feel your best. Schedule your appointment today using the form, or give us a call and put Toronto – Kennedy and Sheppard East full spectrum of advanced rehabilitation services to work for you. At Toronto – Kennedy and Sheppard East, our team has extensive experience and training in treating a variety of different conditions. Toronto – Kennedy and Sheppard East provides clear and consistent reporting to your doctor. Reporting may include areas such as results achieved, detailed assessment of problem, treatment by physiotherapist, and future treatment options. Mark Blau is a Chiropractor practicing in Scarborough, ON. 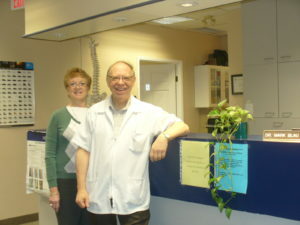 He graduated from the CANADIAN MEMORIAL CHIROPRACTIC COLLEGE in 1979 with a CHIROPRACTOR. Mark focuses on Musculoskeletal disorders, headaches, sports injuries, MVA. Dr. Blau has over 38 years experience gently, safely, relieving pain and restoring health naturally – without drugs, through chiropractic therapy, exercise, nutrition and postural correction, in a warm caring environment. . He uses diverse techniques including deep soft tissue massage, Active Release therapy, personally designed exercise programs, postural correction, nutritional advice, manipulation, ultrasound, low volt muscle stimulation and uses a rehab centre in premises. He is also a provider of custom made foot orthotics and is a certified compression stockings fitter and distributer. 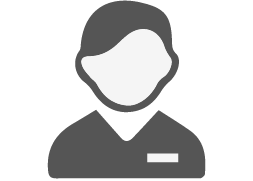 A Physiotherapist, Registered Massage Therapist and Acupuncturist is also on premises. He is a member of the OCA, CCA, CCPA, CCO and CMCC. 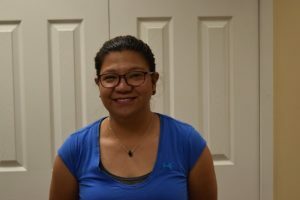 Grace Alfonso is a Massage Therapist practicing in Scarborough, ON. She graduated from Medix in 2017 with a Registered Massage Therapist. Grace focuses on Swedish Massage and/or Deep Tissue Massage. 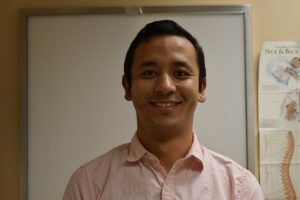 TENZIN RABYANG is a Physiotherapist practicing in Scarborough, ON. He graduated from University of Toronto in 2016 with a Registered Physiotherapist. Kristine Pagar is a Massage Therapist practicing in Scarborough, ON. She graduated from Medix in 2012 with a Registered Massage Therapist. Kristine focuses on Sweedish Massage.